Mitchell Starc admits he had struggled with a number of outside voices and criticism in recent months before his five-wicket haul against Sri Lanka. 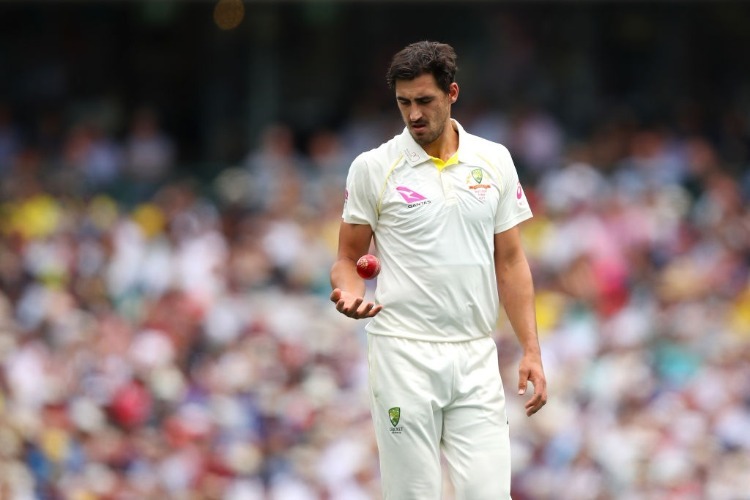 Mitchell Starc admits off-field scrutiny of his bowling had worn him down to the point of turning away from social and traditional media over the second half of the summer. On Sunday against Sri Lanka, Starc claimed his first five-wicket haul in more than a year, taking 5-54 as Australia rolled through the hosts for 215 and later set them 516 runs for victory. Downtrodden for much of the summer after ongoing criticism from past players, Starc admitted the heat got to him towards the end of the Indian series loss. "To stop listening to everyone (was the biggest challenge)," Starc admitted. 'That's probably something I've really done the past four weeks - not worry about it. "It probably wore me down a bit going into new year's, then I got off all the social media and haven't read a paper in four or five weeks. "That's been the best thing for me, made me feel quite refreshed." Shane Warne has been Starc's biggest critic in recent weeks, while numerous ex-players have called for him to lose the new ball after a number of wayward spells. The left-armer had taken 15 wickets at 36.46 this summer before the Canberra Test, on track for his worst return from a home summer in his career. But his 10th career five-wicket haul came at a crucial time for the 29-year-old, in his last Test and possibly last red-ball game before the Ashes tour. Starc sought advice from NSW bowling coach Andre Adams and ex-Australian quick Mitchell Johnson in the lead-up to the Sri Lankan series, but said blocking out other critics - backing himself and bowling quick - was most crucial. "I am my own best coach and I know what's best for me," said Starc, who bounced out two of his victims. "(I put) the rest of the coaching and the other 450 coaches I've had over the past three weeks to the side. "If you're doing the right thing, it can feel like it's a long way away but things turned pretty quickly for me today. "Hopefully, the next couple of days is good for the group and I can contribute again."